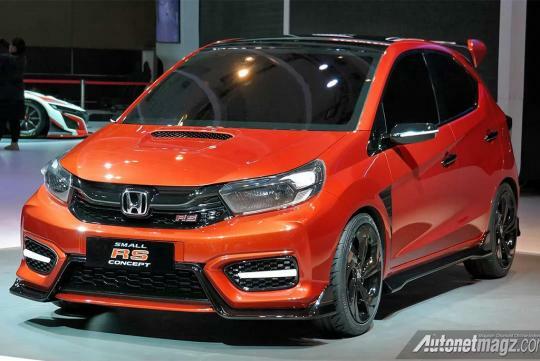 Honda has revealed the Small RS Concept at the Indonesia International Motor Show. The little city car is the brand's ideal vision of what a small sports hatchback should be according to Indonesia's Honda President, Takehiro Watanabe. 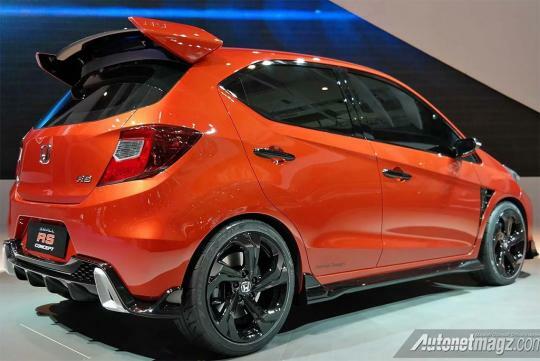 Looking pretty much like a shrunken Civic Type R, the car seems like it is almost ready for production. Only the aggressive tyres, thin wing mirrors and the funky exhaust make it look like a show car. As reported by Autonetmagz, the car is not known whether it will make it into production and no technical specifications on the car have been released. isn't that call a fit? Like "Fit", "Small" doesn't sound very inspiring for a car's name.